The widow of LaVoy Finicum filed a wrongful death suit against several government employees and others on Jan. 26, exactly two years after her husband was shot and died. The defendants will have 45 days to respond to the suit, said Jeanette Finicum's attorney. Morgan Philpot of Utah, the attorney who represented Ammon Bundy when he was found not guilty of all charges relating to the Oregon protest, is Finicum's lead attorney. The case will be heard in Pendleton, Oregon. On March 8, 2016, representatives of the Department of Justice, Office of the U.S. Inspector General, a U.S. attorney, Shane Nelson, the Sheriff of Deschutes County, and others told the press in a news conference in Bend, Oregon, that the Deschutes County sheriff's office was asked to conduct an impartial investigation into the use of deadly force on Robert "Lavoy" Finicum. Deschutes County borders Harney County, home of the Malheur National Wildlife Refuge headquarters. One of the apparent leaders of the Oregon protest group that was focused on garnering attention for federal land management issues, Finicum was shot and killed Jan. 26, 2016. A "major incident team" including forensic scientists and others helped with the investigation, Nelson said. "Of the eight shots that were fired that day, six were justified," said the District Attorney. Six rounds were fired by the Oregon State Police (OSP) and two more apparently by the Federal Bureau of Investigation. Of the six "justified" gunshots, three were fired at Finicum's vehicle as he approached the second roadblock. The other three hit and killed Finicum. The officer who denied the two allegedly unjustified shots was indicted in June of 2017 and faces allegations of making a false statement with intent to obstruct justice, according to sources familiar with the case, said the Oregonian newspaper. Jeanette says she is hoping, with her lawsuit, to hold the agencies and individuals responsible for her husband's death accountable. "I want the truth to come out. I want justice for my husband, LaVoy, who did not have his day in court." The "John Does 1-100" listed as the last defendants are the officers and others involved in the actual shooting. The names of many of these individuals are not yet publicly known. 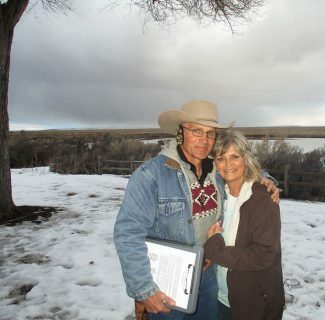 Jeanette believes if LaVoy had not been killed, he would have been found not guilty of any charges related to the refuge occupation, as the other occupants were. "He would be home with his family right now." Armed federal agents set up a roadblock to stop vehicles traveling to a meeting about federal land management that was to be in John Day, Oregon January 26, 2016. The group had left the Malheur Wildlife Refuge, which they were occupying as a protest to the Dwight and Steven Hammond arrest and other federal land issues. LaVoy Finicum, Ryan Bundy, Ryan Payne, Shawna Cox and Victoria Sharp were traveling in a caravan with at least two other vehicles. The vehicle driven by LaVoy was in the lead. When he came to the roadblock, he swerved to avoid hitting police officers or their vehicles, and his pickup became stuck in the snow beside the road. An aerial video released by the FBI after LaVoy's death shows him stepping out of the vehicle with his hands up, walking several yards from the vehicle, then turning around and putting his hands near his waist twice, and back up again. He is then shot and falls to the ground. Jeanette, who was at home in Arizona during the occupation, believes LaVoy was unarmed when he was shot and killed. "What I was told by the group is that they were headed to John Day and that they had been asked to de-arm themselves. I believe my husband complied. He left his six-shooter in his room, he left his shoulder holster in his room. I believe he was unarmed at the time he was shot." The federal government said that a firearm was found on LaVoy's body after the shooting. "I don't believe they found it where they say they found it," said Jeanette. Jeanette does not think agents were focused on keeping the peace. She believes the federal agents were "totally ramped up for blood to be shed," that day. "It had been coming on for days, they were walking around with machine guns, it was like a war zone," she said of the area the agents were occupying outside of the refuge headquarters. "There is a reason he was targeted. He was seen as a threat because he dared to take a stand. They wanted make an example out of everyone involved to be sure nobody would stand up again for property rights, ask for redress of grievance or ask for their rights guaranteed by the constitution." The protesters themselves were much less intimidating, she says. "At the refuge, guns were outnumbered by cameras." The refuge occupation and protest had stemmed from the Jan. 2, 2016 arrest of Dwight and Steven Hammond, Oregon ranchers who were returning to prison to complete five-year prison terms for burning about 140 acres of BLM land in 2001 and 2006. Ranchers and others who believe the federal government claims too much authority on western lands, and that the government is not managing it or communicating successfully with ranchers gathered at the Malheur Wildlife Refuge to draw attention to the issue. Ammon Bundy and Ryan Bundy, sons of Cliven Bundy of Bunkerville, Nevada, and LaVoy Finicum, an Arizona rancher, emerged as the apparent leaders of the occupation. Speaking through social media and mainstream media, they said their goal was to return the federal land to the states. Is she sorry for the events that unfolded two years ago? "I'm grateful that my husband took a stand and that others are continuing to take a stand. 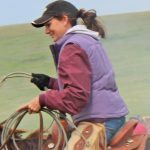 While Jeanette had been denied her grazing permit for various reasons including the fact that the BLM didn't recognize her as the allotment owner upon her husband's death, she and her attorney have worked out the issues and her permit renewal request has now been approved. She continues to ranch in Arizona, utilizing her BLM grazing allotment.